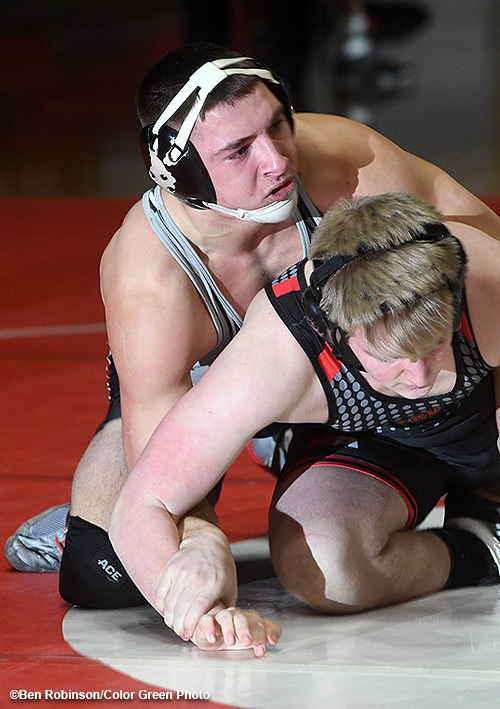 The Covington Buccaneers closed out the regular season with an impressive 65-15 win over Tipp City on Wednesday to finish with a 26-4 record in dual meets. Gavin Swank locks up a pin for the Buccaneers on Wednesday. 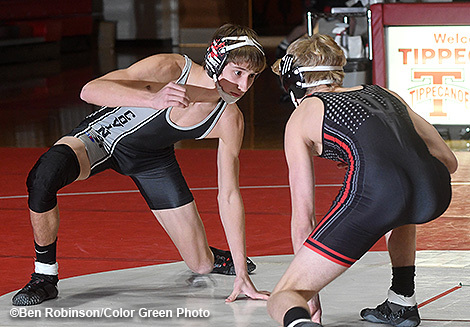 Covington traveled to Tippecanoe Wednesday to dual the Red Devils and came away with a 65-15 victory over a young but hardworking Tipp squad. 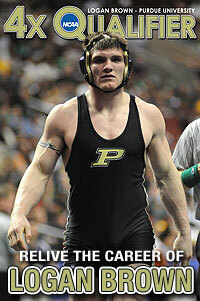 In their final dual of the season, the Buccs improved their overall dual meet record to 26-4. Tippecanoe took an early 6-0 lead with a forfeit victory by Elliot Abrams at 106 lbs, before Kellan Anderson (113) tied it up with a pin over Alec Smallwood, and Cael Vanderhorst (120) picked up a forfeit to give the Buccs a 12-6 lead. Covington's Connor Sindelir (126) pinned Henry Murray and Riley Richards (132) pinned Tyler Bruno, before Tipp's Blake Ballard (138) won a 7-0 decision over Caleb Miller. Austin Flick (145) and Keringten Martin (152) then got pins for the Buccs over Lewis Abrams and Griffin Anderson, before Tipp's Blake Cyphers (160) pinned Tyler Bauer. Trentin Alexander (170) got the Buccs back on track with a pin over Jacob Smith, before Gavin McReynolds (182) and Jesse Fisher (195) picked up forfeits. Covington then won the final two bouts as Dylan Staudt (220) pinned John Barton and Clayton Stephan (285) pinned Jefferey Littlejohn. In JV action, Covington's David Robinson (145), Jensen Wagoner (152) and Gavin Swank (152) all picked up pins. 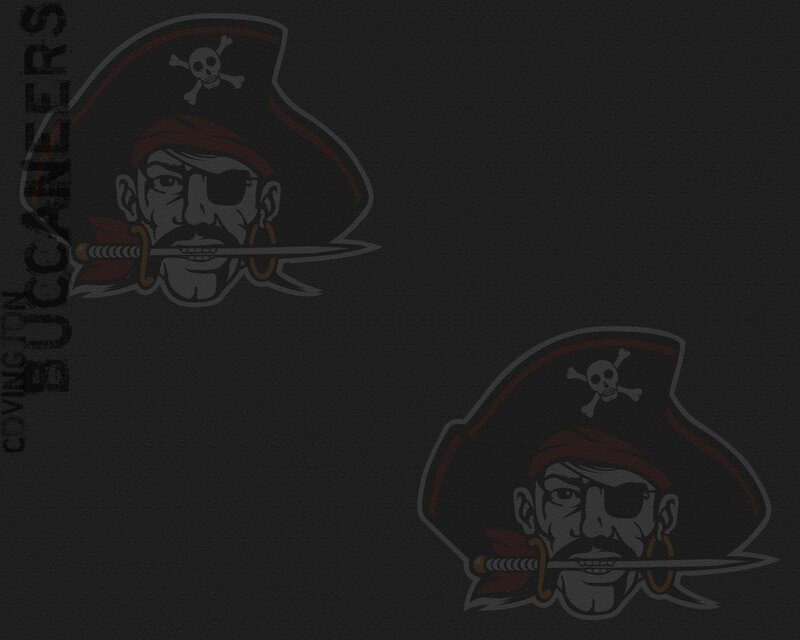 The Buccs now prepare for the post-season. Covington hosts the Sectional tournament on Friday and Saturday, February 22-23. Connor Sindelir sets up his opponent for a shot attempt. 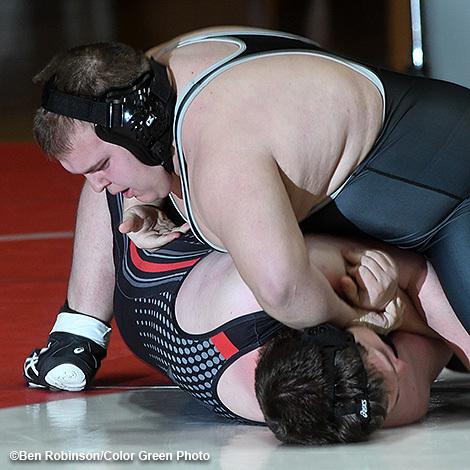 Clayton Stephan works his opponent to his back for a pin at heavyweight. David Robinson works for control on his way to a victory by a pin against Tipp City.